ProjectRock features hand sculpted walls and holds to create the feel and texture of different outdoor climbing such as Castle Rock in Tennessee, Yosemite in Northern California, and Devil’s Tower (crack climbing) in Wyoming. The walls are up to 60 feet high which is great for training endurance. We do not have the height for most gyms in Florida so this is definitely a plus. The facility has 18,000+ square feet of climbing. 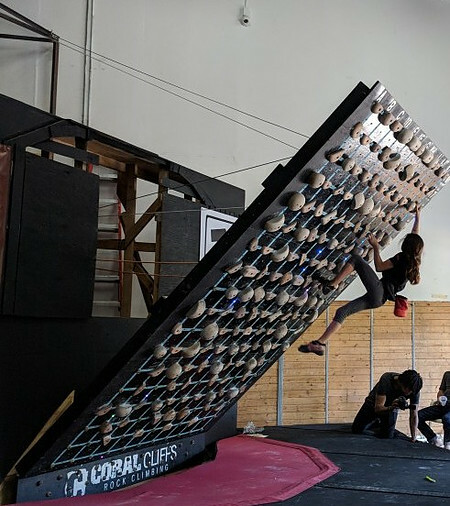 There are 125+ routes for different levels in bouldering, top roping, and or leading. 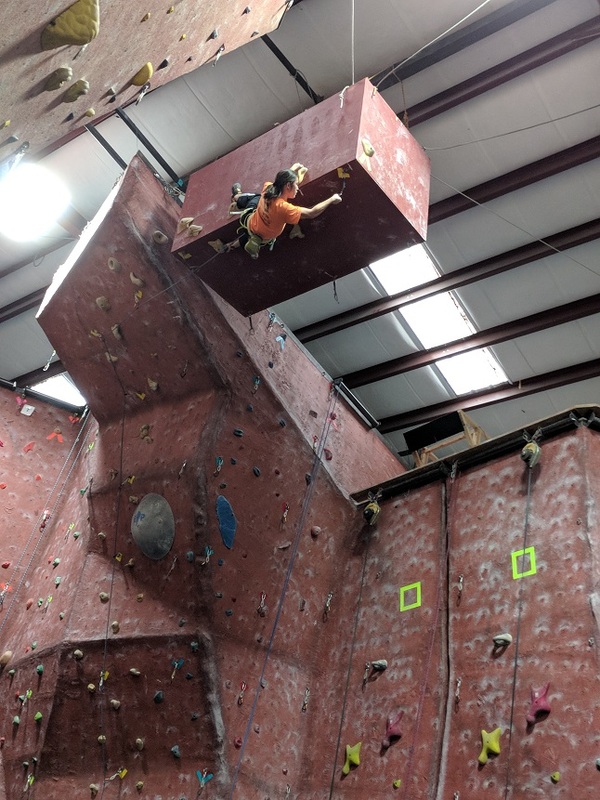 One cool thing about the rope routes is that most of the routes are designed to maximize both top rope and lead climbing. You will definitely need a 60-meter rope to lead climb at ProjectRock. PRO #1 RealRock features with the feel and texture of real rocks. PRO #2 Tall up to 60 feet high wall for great top rope and lead climbs and nice boulder area. It is great for everyone at all different levels from beginners to advance. PRO #3 Crack climbing routes are available which is rare to find at any indoor gyms. PRO #4 Nice equipment, clean facility, and nice air conditioning. CON #2 We visited on Sunday (Memorial weekend). It took our group over an hour to go through a tour, pay, check and verified for belay certification. There was only one person available to certify belay for a busy morning. However, we all bouldered while we waited for our turn. Thankfully, it is an only first time thing. When we come back, we can go straight to climbing. Who is ProjectRock Climbing Gym For? 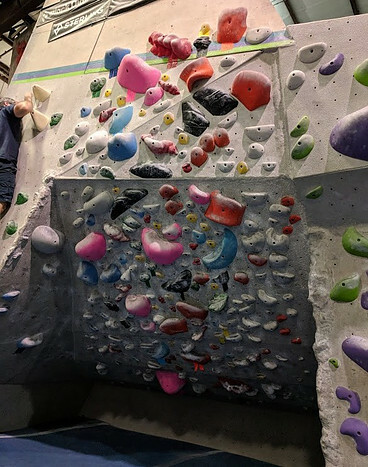 ProjectRock is a great rock gym for rock climber enthusiasts and adventure seekers who like to try alternative sports. They have challenges for all levels from beginners to advance climbers. It is a large indoor adult playground. There are plenty of routes for new and beginning rock climbers with staff support and guidance. There are crack climbing and lead climbing routes that challenges the seasoned climbers. 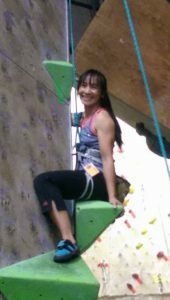 The bouldering section is also fun for those who love to boulder and be free of the rope binding harness. My son and his friends zoomed to this area the first opportunity they got when we visited. The staff are friendly and supportive. They have rental gear available for all ages and sizes. The gym does not have sand bags or extra rope to anchor the belayer. Instead, they provide an equipment called the Edelrid Ohm Assisted Braking Resistor. I have never used one before until I visited ProjectRock. It is definitely an effective device for belayer who is lighter or smaller than the climber. There is also a rock climbing glasses available for sale at ProjectRock to aid you while belay. They are special glasses that allow us to view the climber at 40 to 60 feet above our head without having to crane your neck up to look. We got ourselves a pair. It took a bit to get used to and adjusted my vision. The glasses helped my neck big time. You can also find these climbing glasses on Amazon.com as well. I am providing the link here for your convenience. The basic pricing is a day pass and gear rentals. A day pass for climbing at ProjectRock is $19 without rental gear. With gear, the day pass price is $25. There are also multi-day pass for 6 visits and for 9 visits if you want a bit more exposure to climbing and not sure if you can climb often enough. The most inexpensive route is the monthly membership which pays for itself when you climb more than four to five times per month. I usually climb 3 times a week and 12 times per month so it would be totally worth it to go monthly. ProjectRock also has discounts for veterans which is called Honor-pass, students under 18 and seniors over 60. In addition to day pass climbing, there are kid camps, kid parties, team building for corporation, climbing classes, and yoga. These classes and activities are additional costs. You can visit Rates or Activities for detail membership and activity costs. My husband and I focused primarily on the top rope and lead climbing. We were exposed to crack climbing which we rarely climbed normally. That was fun. There were so many routes that we didn’t even have time to climb them all. ProjectRock has a faux rock formation of a stalagmite which was so cool. I had a chance to climb it with my husband. One thing we asked the staff at ProjectRock was youth climbing team. Because the gym is so new, they have not had a chance to establish a team yet. ProjectRock would be an excellent training ground for youth team in the near future. I would definitely come back in the future. It is a treat when we can find the time. I would love to hear your thoughts or questions. Please leave a comment below. Previous post What is Speed Climbing – How does it fit in with rock climbing?